Kevin Timpe is a Christian philosopher who wrote the Internet Encyclopedia of Philosophy article on Free Will and serves as the IEP editor for Religion and Philosophy. Tempe believes that free will can only be grounded if the ultimate source for actions lies entirely within the agent, if our actions are up to us” (Aristotle’s ἐφ ἡμῖν). This can only be the case ifcausal determinism is false. While Timpe focuses on the “sourcehood” of the agent’s origination of – or ultimate responsibility for – actions, he accepts as a corollary that the agent will have genuine alternative possibilities for action, since the existence of alternative possibilities is an indicator of the absence of causal determinism. Free will requires the ability to do otherwise (alternative possibilities). If causal determinism is true, then no agent has the ability to do otherwise (no alternative possibilities). Therefore, free will requires the falsity of causal determinism (indeterminism is true and alternative possibilities exist). The basic requirement of sourcehood for libertarian free will is that some indeterminism occurs in the “actual sequence” of events leading up to the agent’s action. Timpe does not describe in detail how, when, and where such indeterminism might enter the sequence. He does deny that “luck” is a problem, suggesting he is aware that chance must not be the direct cause of an action. Note that sourcehood incompatibilists can be hard determinists, like Derk Pereboom, who denies free will and moral responsibility. Since 1962, when Peter Strawson changed the subject from free will to moral responsibility (emphasizing the the natural existence of reactive attitudes and moral behavior), and since 1969, when Frankfurt changed the debatefrom free will models to his denial of what he called “alternate” possibilities, the focus of attention in “free will debates” has been on moral responsibility and the agential control needed for responsibility. Compatibilists have leaped at the opportunity to deny alternative possibilities because the determinism that they feel is compatible with free will does not allow alternative possibilities in anything but what Timpe calls a “subjunctive sense.” The agent could have done otherwise if he or she had decided to do otherwise, which is possible if the past had been different, an argument first introduced formally by G. E. Moore, but present as early as the Hobbes-Bramhall debates. 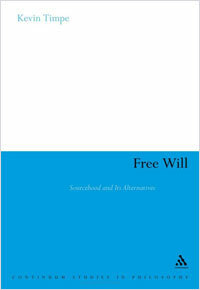 In his 2008 book, Free Will: Sourcehood and Its Alternatives, Timpe has an excellent review of the last thirty-five years of debates, especially on theKane–Widerker arguments which showed that a Frankfurt demon depended on determinism to predict which actions needed to be blocked to insure the agent would “freely” choose the action the intervener wanted. Thus Frankfurt examples “beg the question,” assuming determinism to attack alternative possibilities. Timpe reviews the many abortive attempts by compatibilists to refute Kane-Widerker and other attacks on Frankfurt, including the “flicker of freedom” attack developed by Fischer (though Fischer is himself a compatibilist). The idea is that just at the moment of deciding, the agent could decide to “try” one of the alternative possibilities being blocked by the intervener. If this is true, then perhaps it would be true to say that not much philosophical headway has been made in the past 35 years of debate begun by Frankfurt’s article. It is certainly true that much is made of various and conflicting intuitions in the debate surrounding the compatibilism/incompatibilism debate. Perhaps the debate is ultimately over which set of intuitions is more plausible, in which case we should not be surprised by the lack of a clear victor.